I'm behind in posting my Athleta purchases but I just got these two pieces this weekend - the Patchwork Salutation Powervita Tights and a Cassis Open Back Flexlight Top, which is part of the soft Essence polyester/lyocell blend tops that I like. Cassis is a very close dupe to Adobe. 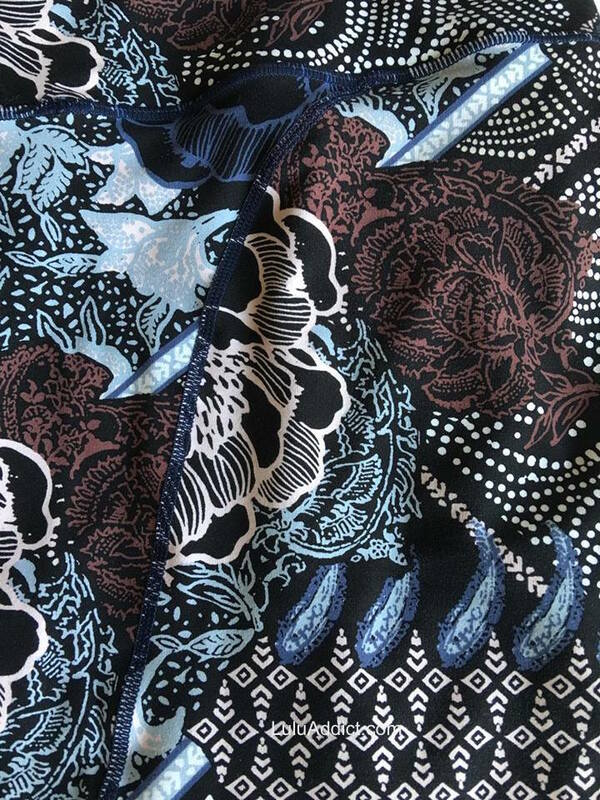 The print has both black and navy in it, plus the Cassis (lululemon equivalent: Adobe) and Clear Blue (lululemon equivalent: Ice Milk). I took the tags off both pieces yesterday and really liked the Open Back Flexlight Top a lot. Even though it's very warm here the open back kept me cool and was a nice way to show off a cute bra. 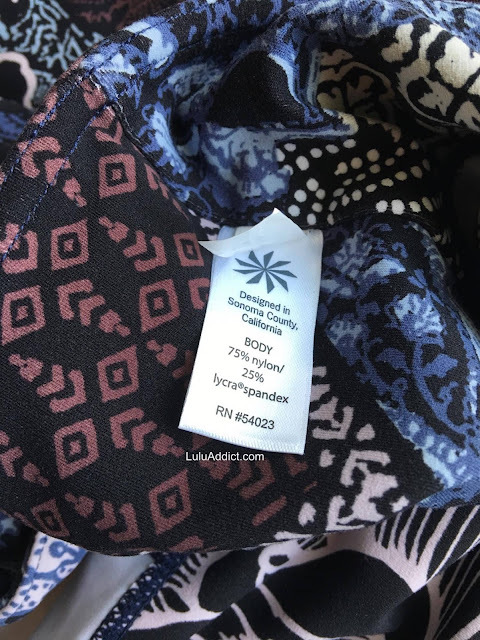 I am a huge fan of the Essence line polyester/lyocell material. I have three tanks in it and they breathe very well and are holding up nicely. 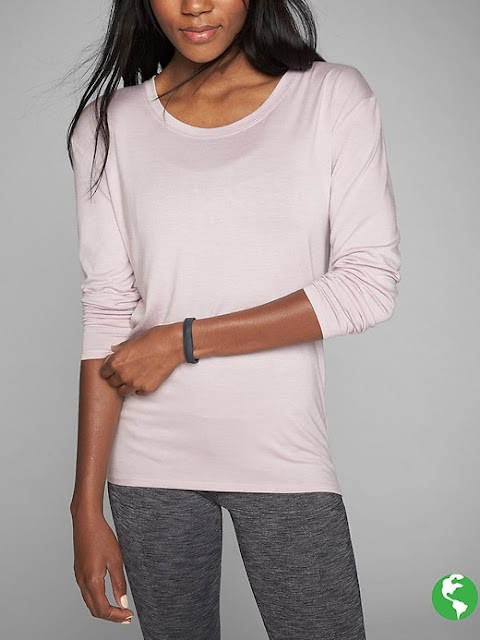 I really like every piece of Athleta casual wear I have bought and I love they offer longer tops. 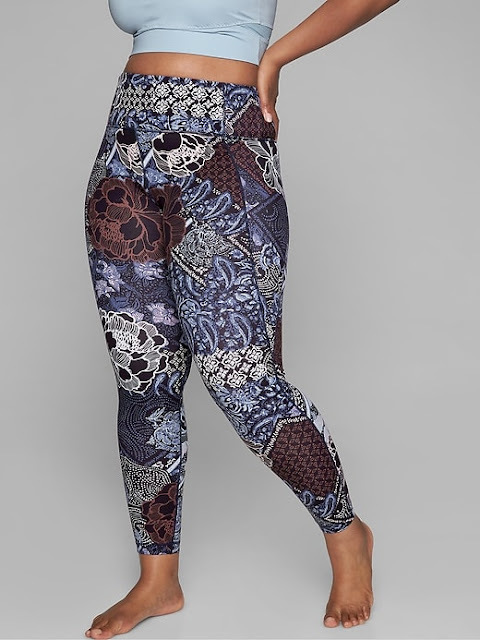 On a side note, Athleta has started showing their clothes modeled on both regular and plus sized women. I really like this feature a lot. 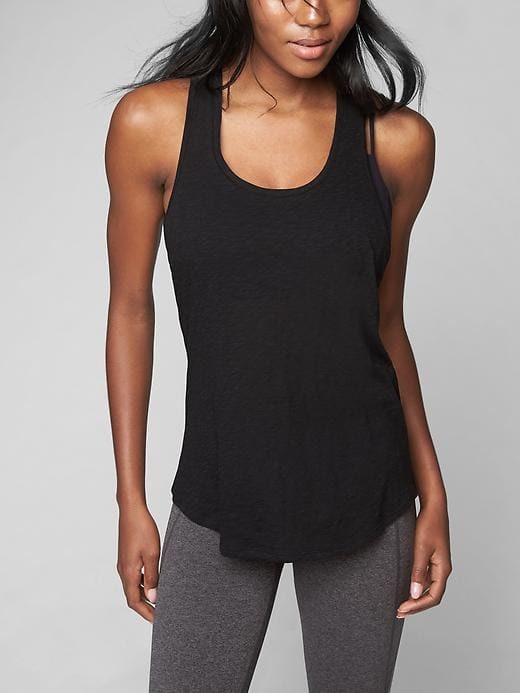 Threadlight Layering Tank - it's a long, lightweight lenzing modal long tank that I just love. Soft Lilac Threadlight Relaxed LS. I haven't gotten to wear this too much since it's been warm but I love all Athleta's lenzing modal tops so I know it will get lots of wear once it cools down. It'll go nice with my Pathwork tights, too. Athleta has moved this to on-line only now but I bought two of the Daily Racerback tank, in black and Dress Blue. 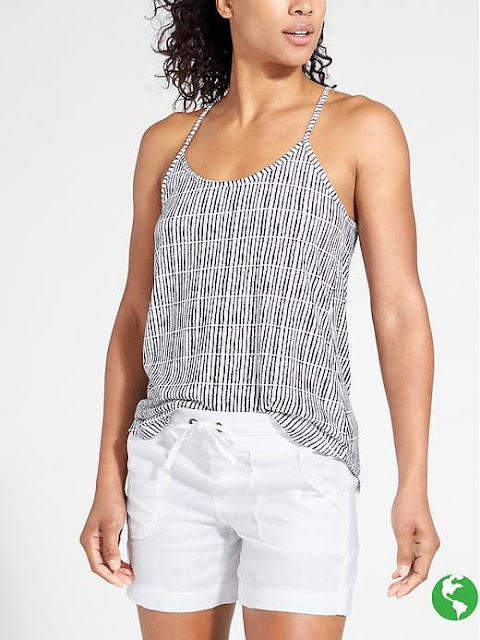 It's a loosely woven cotton/polyester top that is fantastic for hot days. 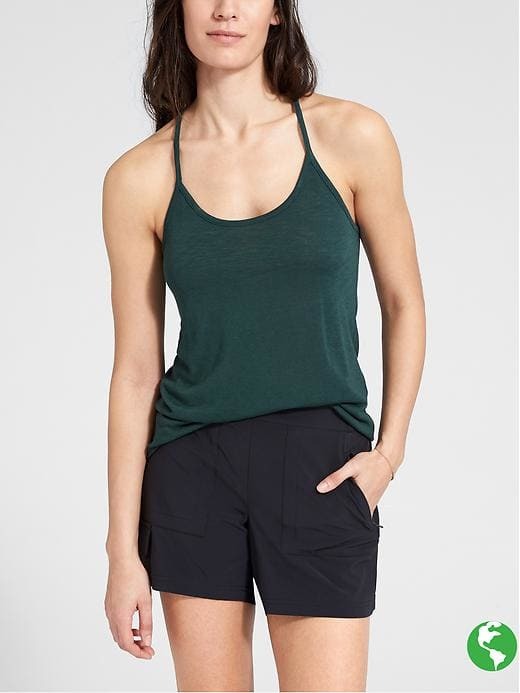 I also bought a couple of the Breezy Cami tops - Abyss green and Painted Navy Zen. These are made from a different version of the lenzing modal/polyester fabric. They're very cute and cool tops. The only bad thing is they're fairly low cut so I tend to show a lot of cleavage in them. Love this outfit! Loving all things Powervita right now. That print is really, really pretty. All of the Athleta items are very nice! Definitely more appealing to me than the majority of LLL's offerings. I wish we had Athleta in Canada. Omg, love the patchwork tights! 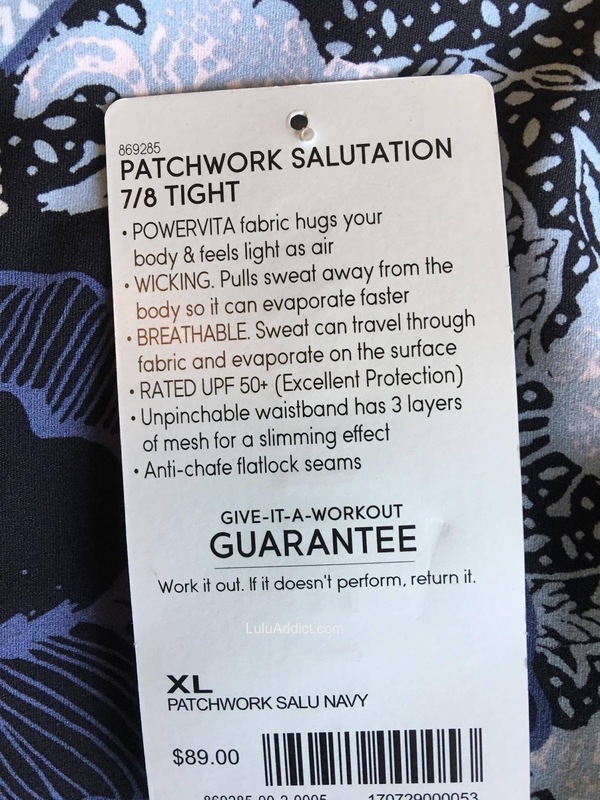 Athleta is killing it. I buy almost all of my workout tops and athleisure there now. 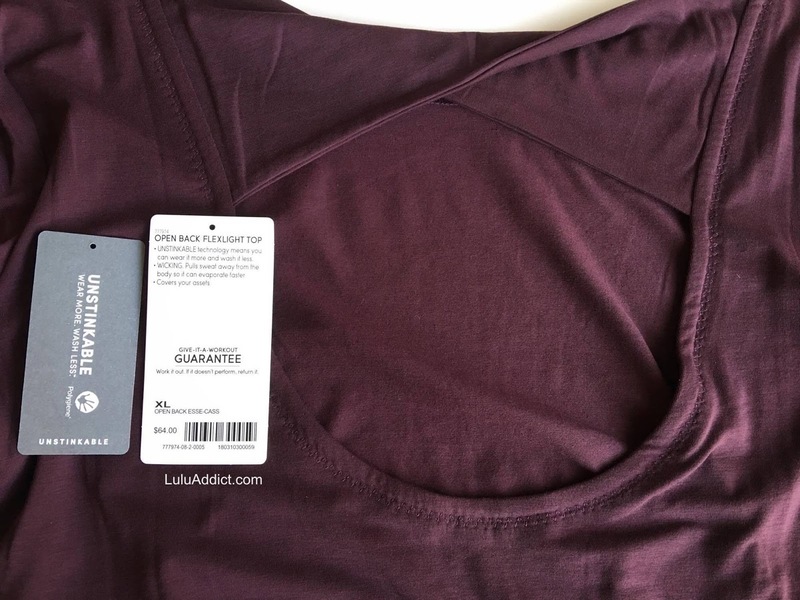 The only thing I buy from Lulu are Speeds (although now with Speed Ups I won't be doing that anymore- the high side leg cut doesn't work for me), and I like the Nulux running tights, so I buy those too. I go to Nike for bras, and that's it! 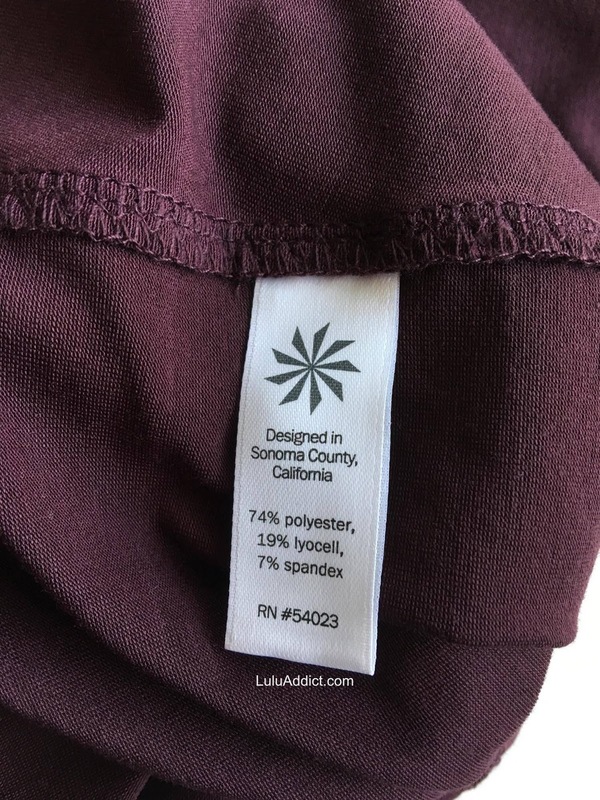 Loving that you're expanding to other brands, particularly Athleta. 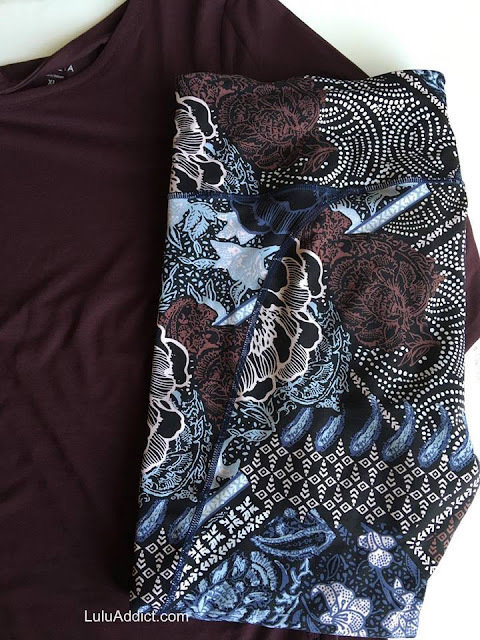 LOVE LOVE LOVE the Patchwork Salutation Powervita Tights in that print!!! plus a few other pieces you posted. now excuse me but I need to go cry since Athleta is not in Canada. I especially like the Threadlight Layering Tank and l/s. If we had Athleta in Canada I know I would spend more money there than at LLL. Athleta please come to Canada! Yup. 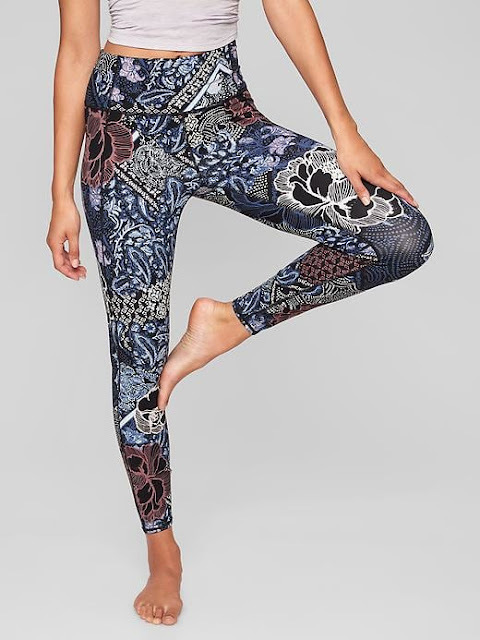 All my athleisure $ now goes to Athleta. I love the Daily tanks too! and the Luze Pose top is amazing--it's cold here already so can't wait to get.